Amparo is the constitutional protection means through which fight laws or acts committed by any government level authorities that violate human rights of the governed in the Covenant Social and in the international treaties to which Mexico is a party state. We specialize in contesting the constitutionality of laws and administrative tax. Since 1993, entering into force in Mexico’s Federal Competition Act, created the Federal Competition Commission as an independent body responsible for its implementation and protect the competitive process and free competition. 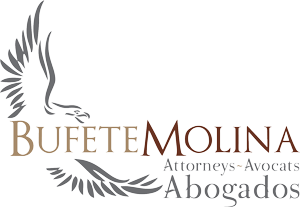 In Bufete Molina we specialize in filing and tracking claims against decisions under the Federal Competition Commission (CFC). Molina Firm, specialises in defending the legal interests of individuals and corporations to the arbitrary acts of any authority: federal, state or municipal. Bufete Molina, aware of the importance of the democratic process that is currently living in the country, provides consulting services and representation in the Electoral Law in and out of state or federal election campaigns . This signature service provided is very useful and highly recommended to all those who choose to be innovators and entrepreneurs. BMA provides advice to employees and employers in the development of collective labor contracts and individual and work in litigation before federal and state agencies.